Located in the West End neighborhood of Newport, Early Scholars is a quality child development center in which children receive individualized classroom instruction to prepare them for success in school. Emphasis is on quality of interactions among staff and children. The Center utilizes developmentally appropriate, research based curriculum, high standards of health and safety practices, highly qualified staff, and provides an enriching learning and physical environment, individualized classroom instruction, and parent involvement activities. One of the biggest barriers for single parents perusing higher education is access to quality, affordable, childcare for their children. In addition, we recognize that during the first 6 years of life, a child’s brain develops rapidly creating the highest potential for learning. Early childhood education in high-quality settings significantly impacts a child’s chances for success throughout their life. By instilling an early love of learning, and fostering physical, emotional and social development, children are ready to learn by the time they enter kindergarten. 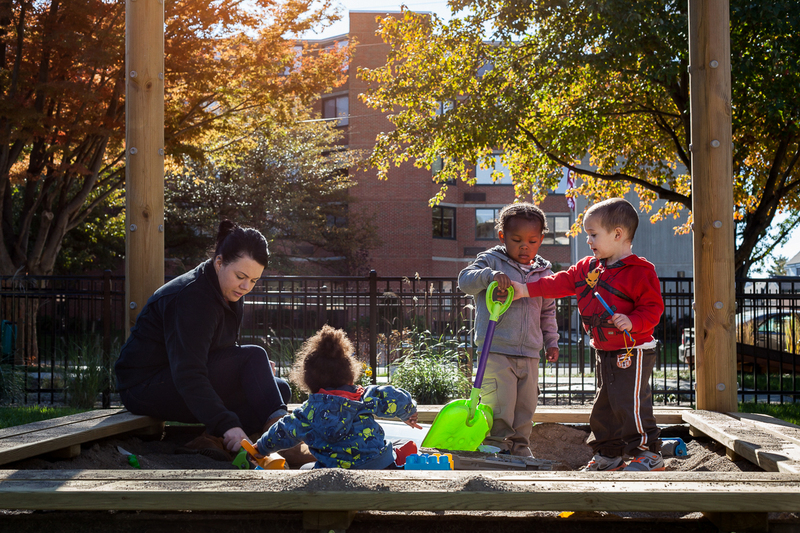 Research shows that long-term early childhood programs increase lifelong earning potential, lower rates of teen pregnancy and incarceration, enable students to have higher earnings, lower the crime rates, and increase high school graduation rates. It is our hope that this success in learning carries them through to college.